Of all your possessions, there is nothing more valuable than your identity. Cunning thieves are aware of this and know that unless someone has identity theft protection, he or she is just as vulnerable as someone who leaves their home unlocked when they’re away. Once someone has your Social Security number and other types of personal information, they can open accounts using your identity, steal your money, ruin your credit, and cause endless harm to your reputation. Identity protection is just as important today as a car alarm or home security system, if not more important. 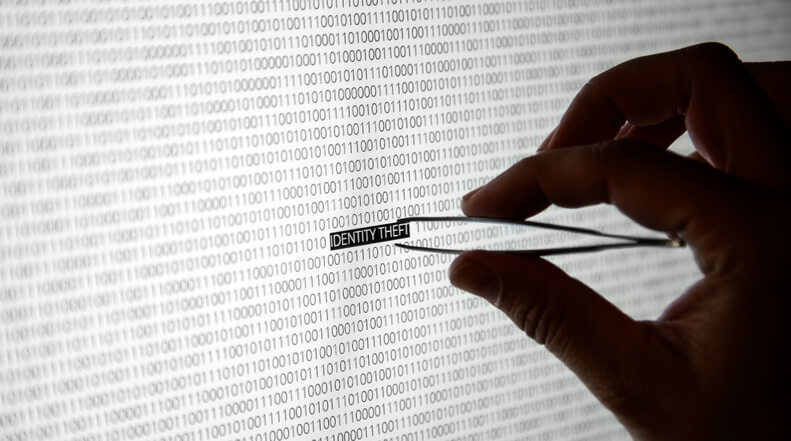 Everyone needs to be aware of the most common types of identity theft and learn how to prevent identity theft before they’re caught off guard. Mail Theft – Your mailbox isn’t even safe these days, as thieves commonly target homes where it is easy to steal mail, hoping for paperwork that may contain sensitive information that can be used to imposter the resident and steal their identity. Dumpster Diving – Similar to mail theft, dumpster diving involves looking for sensitive paperwork that can be used to steal identities. This is often easier for thieves than mail theft, as dumpsters are often located in dark, secluded places where thieves can’t be caught. Shredding your important documents is a good way to prevent identity theft by protecting your valuable information from being easily accessible to thieves in a dumpster or recycling bin. Cyber Crime – Cyber crime is any type of crime performed over the internet. Hackers commonly target unsecured Wi-Fi to steal information, hoping that someone might be on their bank’s website or on social media where birth dates and addresses are sometimes available. They also use phishing scams and malware, enticing users to click on phony links to enter personal information. Medical Identity Theft – You may not think that your health information would be useful to anyone else, but someone who has your health insurance details can use it to obtain medical treatment, which can be extremely expensive. And if an identity thief has a medical condition, his or her false claims can make it difficult for you to qualify for life insurance or other types of insurance. Data Breaches – Data breaches have been occurring at a record pace, with breaches all over the news lately. Data breaches occur when a thief targets an organization and accesses sensitive records, sometimes holding them ransom. This kind of theft is devastating to businesses of all size, which is why cyber insurance for business owners is becoming increasingly important. If you suspect that you’ve been a victim of identity theft, immediately contact your financial institution, credit card companies, and the three credit reporting agencies. You should also file a complaint with the FTC. Better yet, obtain identity insurance before you become a victim, as it can help you recover lost assets and restore your reputation more effectively and quickly than if you tried on your own. An insurance agent can recommend the right type of identity insurance to protect you or your small business. Visit your local Freeway office, or call 800-777-5620 for a quote. It won’t take much time, and you’ll be able to put yourself at ease knowing that your most valuable asset is protected.